It’s difficult to find a mobile game that doesn’t actively attempt to squeeze your wallet dry with in-game purchases that give you an unfair advantage over your opponents. When it comes to great mobile games, more often than not we find ones that genuinely hook us with their awesome mechanics, as well as captivating plots and narratives, only to have it all ruined when you are completely destroyed by a guy your same level, only because he decided to whip out his wallet and you didn’t. For this reason, it’s important to weigh the incentives, or buying pressure, exerted by the game upon the player to make him want to buy stuff from the in-game store, the potential benefits obtained from every transaction, and the amount of content offered by every purchased item, in order to determine the true value and quality of the game. In other words, if you’re forced to take out your credit card and purchase stuff on the in-game store in order to genuinely enjoy the game, then odds are that it has some serious designs flaws that can seriously detract from its overall quality. That being said, FIFA Mobile is EA Mobile’s latest attempt to bring an enormous console franchise, to the market of mobile video games. Fortunately, when booting up the game, you can immediately tell that this one is, by far, the best iteration of the game for this platform. However, we can’t help but question: what makes this version of the game the most exciting and entertaining of them all? Furthermore, why has FIFA Mobile seen so much success where its predecessors had managed to only be mediocre copies of their console counterparts? To answer these questions, we have to first explore the story of FIFA throughout its many, many versions on mobile devices. Up until FIFA 13 in consoles, the mobile ports would conform to trying to imitate their counterparts, without bringing anything new to the table. 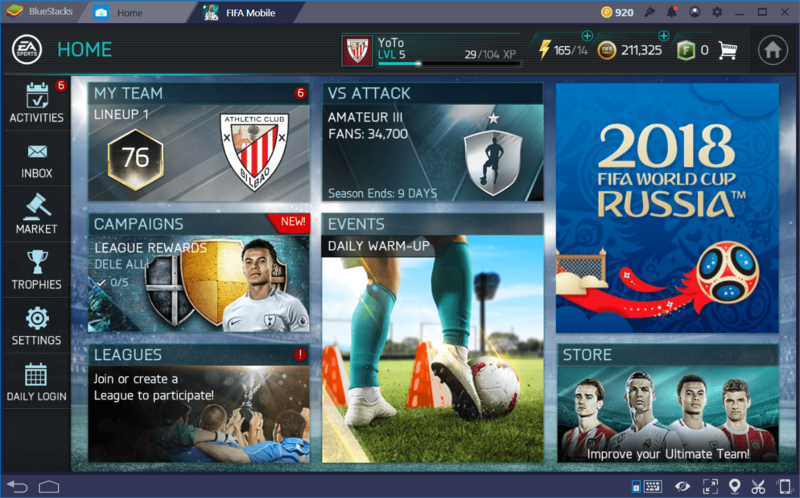 By following the same (albeit somewhat repetitive) formula, FIFA on mobile devices continued to add more elements and features to its core gameplay, though would still ultimately fall short due to the inherent limitations of the platform, such as the inability to create high-definition graphics, as well as the restrictive virtual controls of cell phone touchscreens. This trend continued for several years, until the arrival of the 2014 iteration of FIFA, which included the Ultimate Team element — the card-based mode in which players could create their own dream team, and which was initially released in FIFA 13 on consoles. This new game mode clearly proved that those who had already paid full price for a boxed copy of the game were also more than willing to drop extra cash on in-game products and purchases. 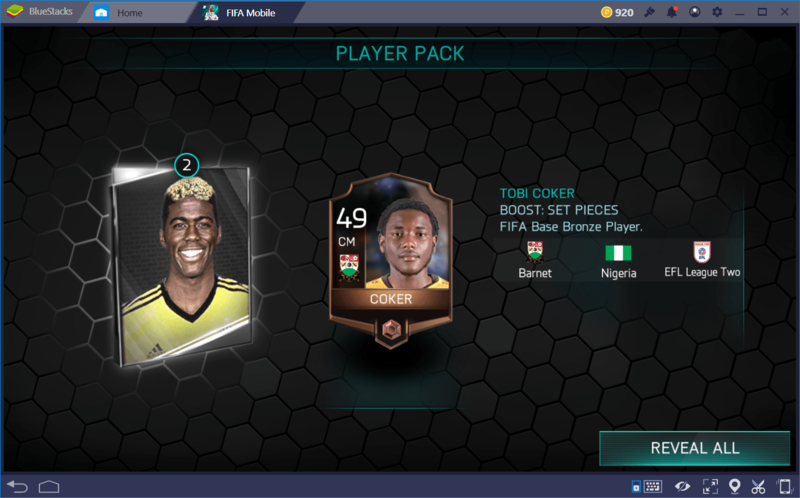 The success of this feature in mobile devices reached top notoriety in FIFA 15 Ultimate Team, which saw tremendous success in the market, to the point of being the first game in its category to single-handedly set a trend. In fact, the 2015 version marked the time when the game dropped all pretenses of trying to imitate its console counterparts and focused exclusively on developing and expanding upon the Ultimate Team card-based system. This trend continued into the following year with FIFA 16, which showed no signs of stopping. Finally, FIFA on mobile devices had reached an interesting milestone; it had established its very own identity despite sharing its name with its console versions. Furthermore, it managed to establish a multi-layered monetization system with genuinely exciting incentives that could last the players for long periods of time. Nevertheless, it still didn’t feel like a standalone game; it wasn’t yet ready to be sold as a good free-to-play game. In this regard, there were still some glaring flaws in its design: Why were players still forced to participate in full matches in the same way that they did in console versions of the game? Furthermore, in an era of games-as-services, are annual iterations of the game, like the developers do in console versions, still necessary? 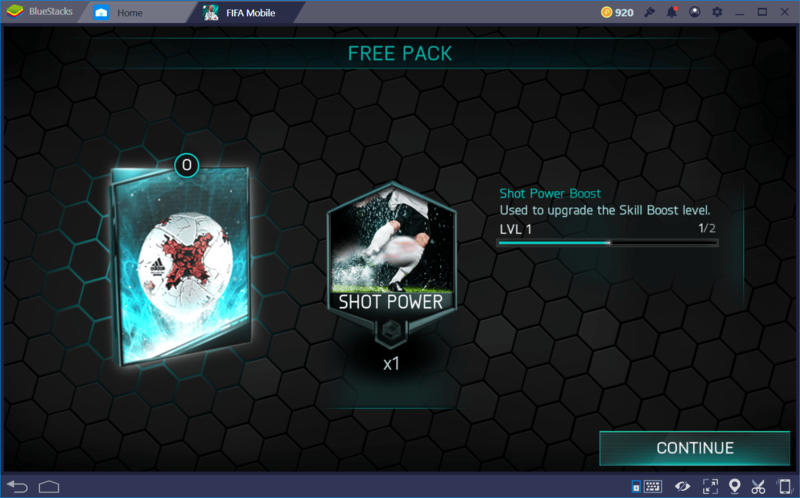 FIFA Mobile answered these questions by completely distancing itself from its brother by feeling, and playing, like a true game meant for mobile devices. There are other examples of games from other genres that have managed to achieve this level of success. CSR Racing, for example, is the most popular racing game for mobile devices, a qualification it managed to obtain without having to make an exact copy of Gran Turismo, and porting it to Android and iOS. In the same vein, FIFA Mobile adopted this concept: The Vs. Attack Mode is, by far, one of the best things EA has managed to come up with, so far. Through this game mode, players are not forced to sit through long online matches staring at their phones and wrestling with the controls. Instead, they simply participate in short, asynchronous matches against the opponent’s team, which is controlled by the computer. 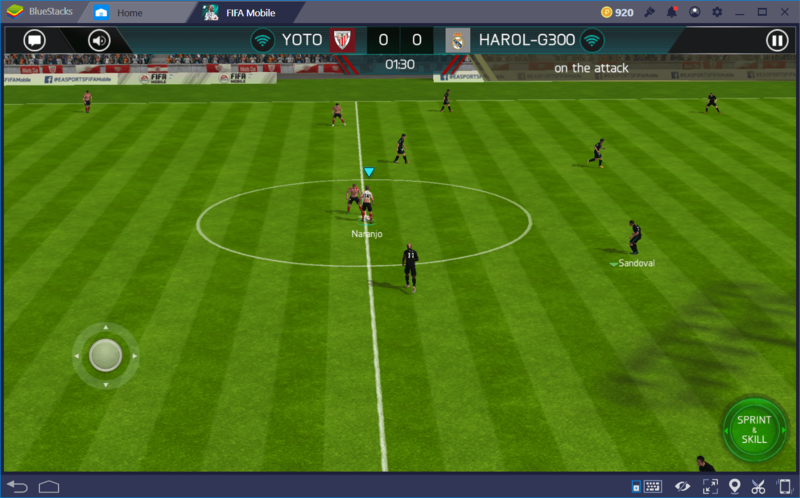 Each match takes place in several turns, with all the boring parts such as throw-ins, player-on-player drama, and other time-wasters filtered out. Both players only have control of their team in certain scenarios where they either have the task of stopping the opposing team from scoring, or the opportunities to score goals themselves. Even if they are unable to focus on the game itself, the player can simply leave the controls untouched, and the computer will take over, which means that, potentially, the game could even play itself if necessary. For many purists out there, the existence of a FIFA game with the ability to play itself is undeniably a negative entry in the series. However, for fans that are simply looking to pass the time with a good football game, this will be the best thing that has ever graced their cellphones. Furthermore, after taking a firsthand look of the impact that Ultimate Team had, we can tell that fans are really excited about cards, as well as with the search for their favorite players to add to their squads, and not with the gameplay mechanics per se. Perhaps this new iteration of FIFA games is showing a glimpse into the future when it comes to football games for mobile devices. Where many other games have failed to create a free game with enticing incentives to improve its monetization, FIFA has experienced the exact opposite. It’s true that, with the advent of Ultimate Team, EA has been happy to stick with the same formula that managed to win the hearts of millions of fans. In this sense, they haven’t tried to modify it and, in all honesty, they don’t need to. With FIFA Mobile, everything feels very familiar. 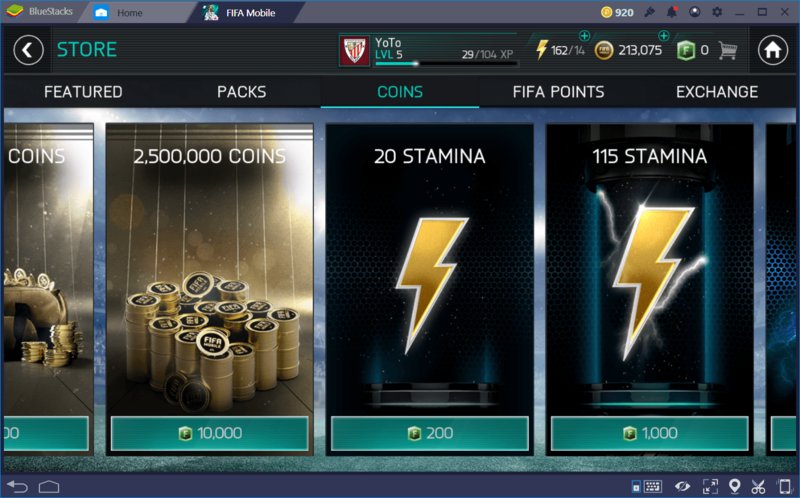 FIFA Coins are the only currency in the game that can be obtained through events in the game itself. 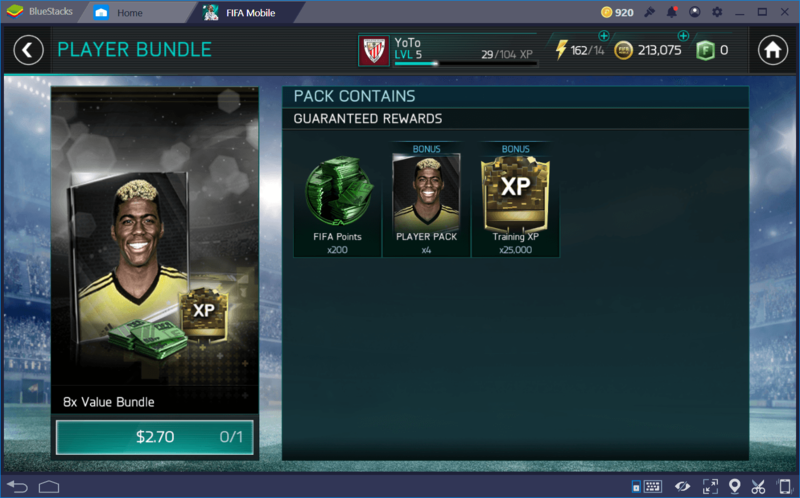 FIFA Points are the game’s version of premium cash, and can only be obtained as a one-time bonus at the beginning, and by purchasing it with real money in the in-game store. Standard fees for Points go from $2.69 for 150 points, up to $129.01 for 12,000 points with several options in between. After purchasing them, points can be spent in the in-game store on packs and bundles of curated players, which are usually on the higher end of the spectrum when it comes to skill and performance. Players packs, on the other hand, have varied prices in the store. The cheapest item is the Player Bundle, which goes for 150 Points or 35,000 Coins, and contains 2 base Bronze+ players, and 1 base Gold+ player, as well as a very slight chance of obtaining a Master, Elite, or Silver+ TOTW player. This bundle, in particular, is great for those who are looking to improve their teams but without having to break the bank in the process. Nevertheless, the more committed players will want to spend a bit more on their squad. In this sense, the “All-Pro” and “Premium” packs, which are worth 500 and 1,000 Points, respectively, contain several guaranteed Gold players, as well as the possibility of obtaining Master, Elite, Gold+, or Silver+ players, and several basic training items such as skill boosts and player XP, among others. More often than not, the store will have sales and discounts you won’t want to miss, so be sure to visit frequently if you’re looking for the best deals to power up your squad. The Market (not to be confused with the Store) is, by far, the best choice for those who want to build their dream team, without having to spend a single dime in the game. Through this option, players can get together to buy, sell, and trade their unwanted player cards. In the console versions, this marketplace has spawned a huge real-life economic phenomenon. 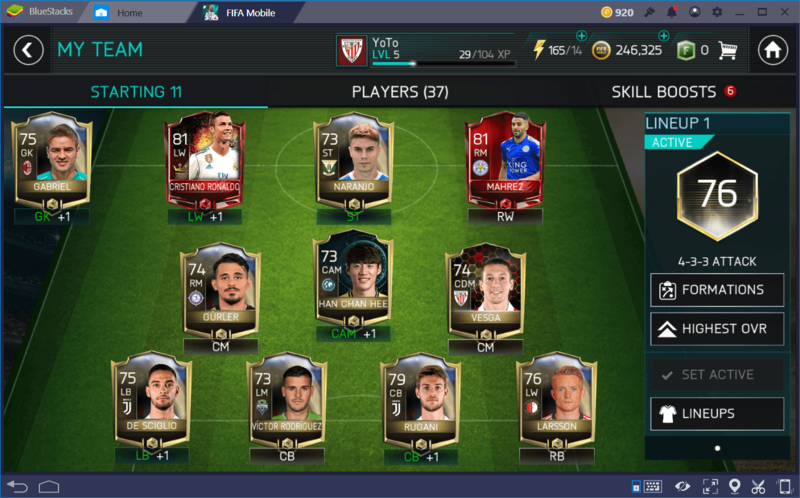 FIFA Mobile, as it seems, is headed down the same way, considering that this is the definitive version for mobile devices, instead of being one more entry in a series of yearly releases like its console counterparts. Fortunately, just like the console versions, all the transactions in the Market are done with FIFA Coins, a currency that cannot be bought or obtained with real life money, and must be won through accomplishments in the game. This is a great way to separate the cash shop with the marketplace where players seek to sell and obtain good cards using only the in-game currency. It wouldn’t hurt to mention that, players who want to put together a competitive team without investing a bit of their own money, will have some difficulties doing so, compared to those who are actively paying for the benefit. Furthermore, there is a stamina system in place that costs 99 Points to refill, further limiting the players that frequently spend time in the game. Fortunately, this system is hardly restrictive, as most actions cost very little Stamina. This attribute, in turn, regenerates quickly when not playing. Up until a few years ago, FIFA for mobile devices made no sense; it was superfluous when compared to its console counterparts. The controls were simply terrible, it didn’t look as good as its brothers and, to top it all off, it lacked a robust amount of features that set it apart from its counterparts. 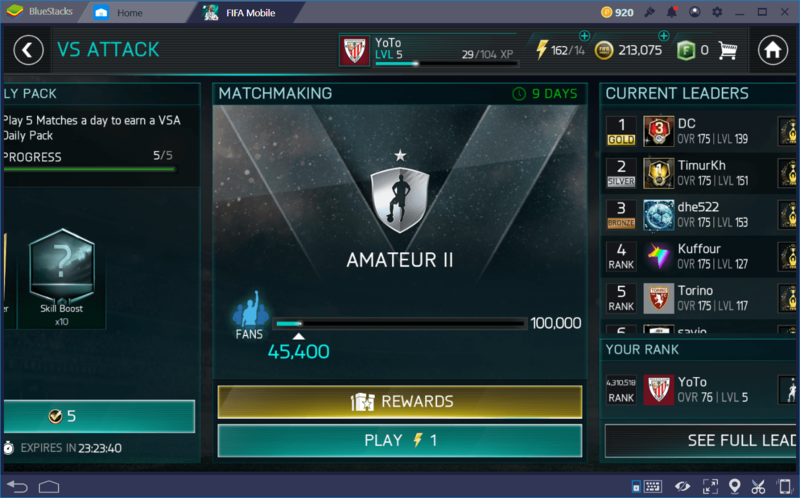 FIFA Mobile, however, has achieved the impossible. It’s different enough from its console version and is perfect for playing when trying to kill time during the daily grind, or for playing in those moments of rest at work. Additionally, mobile devices have become the ideal home for the Ultimate Team system. There is really not much to say about its monetization model since it has always existed in other versions of the game. However, just like Ultimate Team, the Store has become a fundamental aspect of the team building efforts of millions of players around the globe. Furthermore, with the 2018 World Cup in Russia coming up soon, there’s no better time to start playing this game and building your dream squad than now. What are you waiting for? Get to playing! Or better yet, play it on BlueStacks , the Android emulator through which you can enjoy all your favorite mobile games on a much larger screen, with improved controls, and from the comfort of your own computer.